Nature’s Food All-In-One Meal Review – Is it Worth it? Remember that movie called Soylent Green? Where the people would eat their meals in the form of shakes every day? It contained all of their necessary vitamins, minerals, protein, ect, all in this disgusting shake. Sure, it was just a movie, and nobody would actually do that. But then here comes Nature’s Food All-In-One Meal to make this movie come to life! Fortunately, the results are actually quite nice. This product contains all of your necessary vitamins and minerals, as well as any nutrients and calories you would eat with a normal meal. 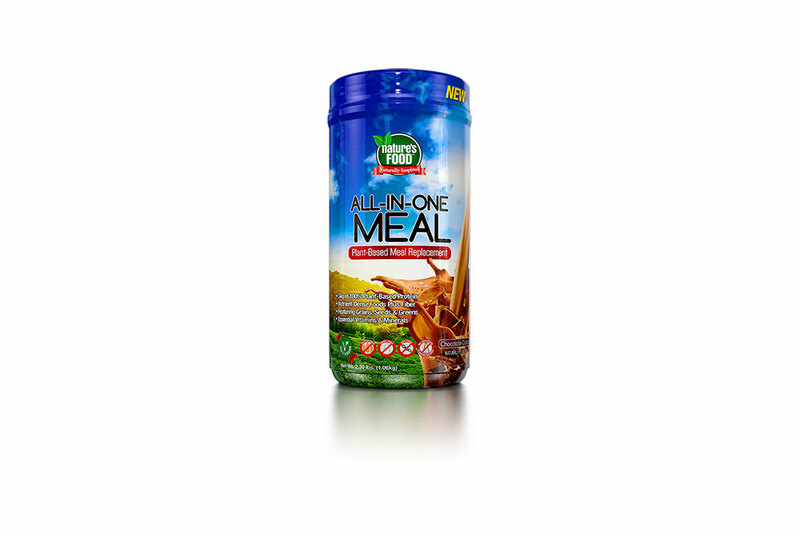 All in all, this product offers a very reasonable amount of nutrition in each serving. You could actually eat almost nothing but these shakes and survive. That’s how well packed with nutrition they are. Quite impressive. Nature’s Food All-In-One in a plant based diet supplement that is easy to take and tastes great. We went with the vanilla bean variant, and it tasted lovely every time you used it. Some products offer a fake and gross vanilla taste that gets old after a week, but not here. I could eat this every day and not even complain. Did it curb my hunger? Yes. Did it control my appetite? Yes. Did I want a more substantial meal? Not really. Sometimes, my body craved actual food that was solid, but a lot of the time, my body was content with receiving all of its nutrients via liquid. It’s a weird feeling, but very effective. The ingredients in this product are pretty solid, and they’re all-natural. You won’t have any bad side-effects here, unless you’re allergic to something that most people arent. These are solid, and it’s all you need in your daily meal regimen. I personally wouldn’t eat only these, but you could skip a meal and not feel bad if you drank one of these. Nature’s Food All-In-One is a great product, and it’s a great meal replacement if you need something healthy to have for lunch at the work place. You shouldn’t replace all of your meals with this without consent from a doctor, but that goes with everything. Along with this product, we recommend that you use Ultimate Man Once-A-Day. Using both together will give your body more nutrients to use, making you feel more alert, happier, less stressed, and much more pleasant in general.